It’s Spring!!!! Is it?! I’m soo happy to reach home seeing a bunch of stuff waiting for mi in my room!! My Apr VT! 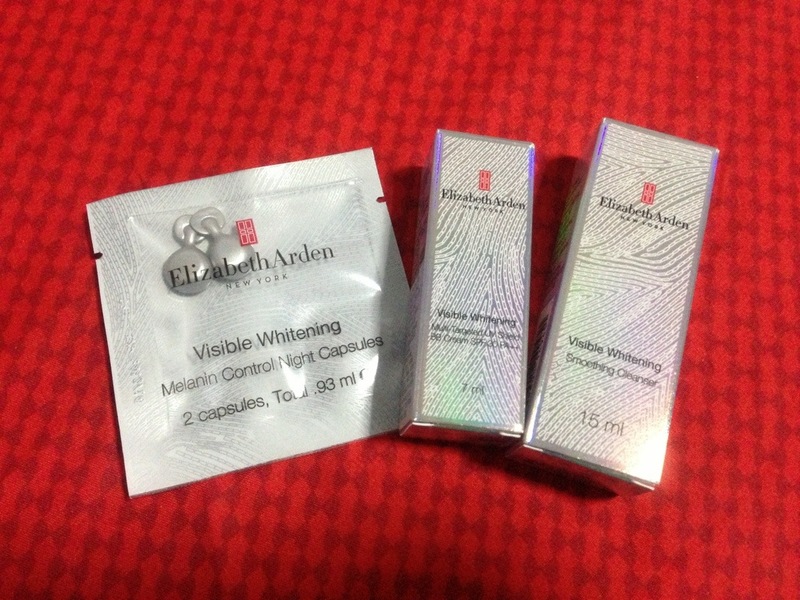 My 2 other packages which i purchase online!! But for now, let’s see what we have in April trove! Tadaaaaa~~ when i open up, I’m shock! shock in many way! 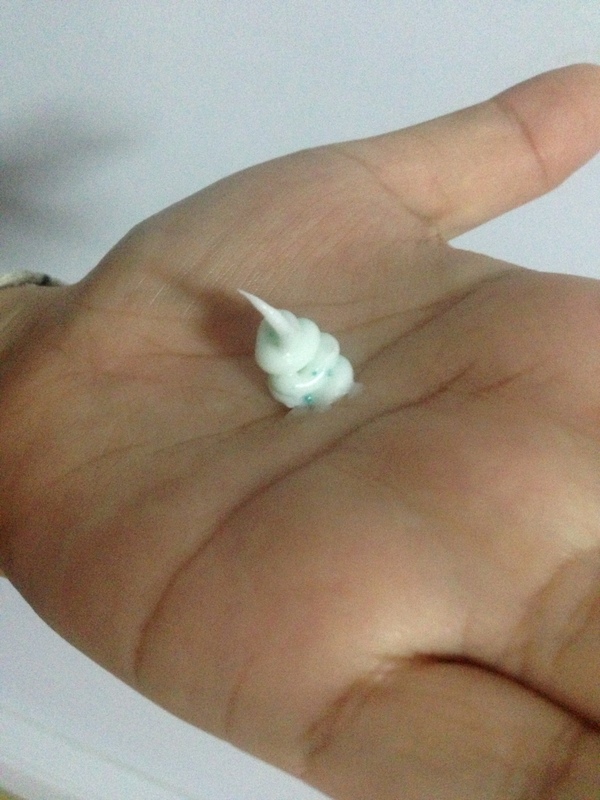 Best part was… just nice i used up my last drop of facial form last night! and this Trove products came just in the right time.. guess, variety (quantity) doesn’t matter anymore! Below is a closer look of my trove item.. These are what i’ve gotten! BB PERFECT CREAM WHITE 377 – This multifunctional bb cream consists of Beauty Essence + Facial Cream + Makeup Base + Concealer + Makeup foundation all-in-one tube! Covers instantly all blemishes, small wrinkles and dullness and amazingly creates a smoother and lustrous radiant looking skin. It is very easy and quick to apply on the face and is for all type of skin. Only takes 30 seconds to cover your entire face! This bb cream is formulated with amazing new brightening ingredient “WHITE 377”. 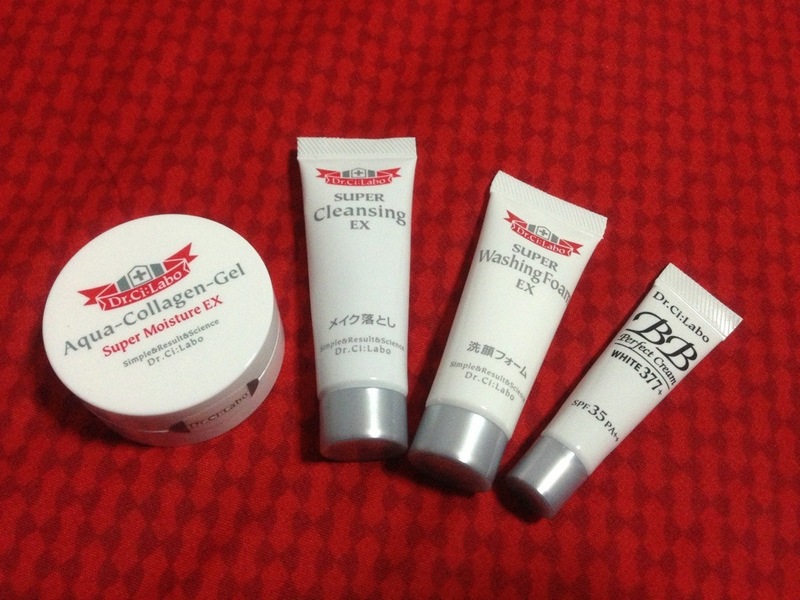 Also formulated with Alpha-Arbutin, bellis perennis and edelweiss flower extract. 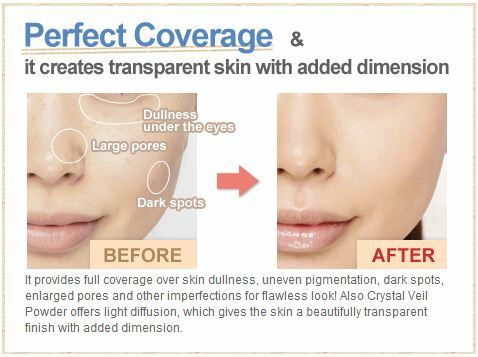 It will help fighting against regularly appearing “dark spots” and “skin dullness”. It is also formulated with EGF which helps promote the regeneration of skin cells. EGF works aggressively against the signs of skin damage caused by UV rays, as well as other skin problems such as the appearance of dark spots, wrinkles, fine lines and dryness. What is WHITE 377? It is developed based on the polyphenol substance found in the European Red Pine, an evergreen coniferous tree. White 377’s power to inhibit the tyrosinase enzyme activity is 7,000 times that of arbutin and 2,400 times that of either kojic acid or ascorbic acid sodium salt. What is EGF? EGF is a type of protein that originally exists in the human body. The application of EGF on the skin will help increase the skin’s elasticity and ability to retain moisture. The retail price is gona kill me.. but if it’s good, i seriously dun mind investing S$62 (30g) on it each time! Price based on website. 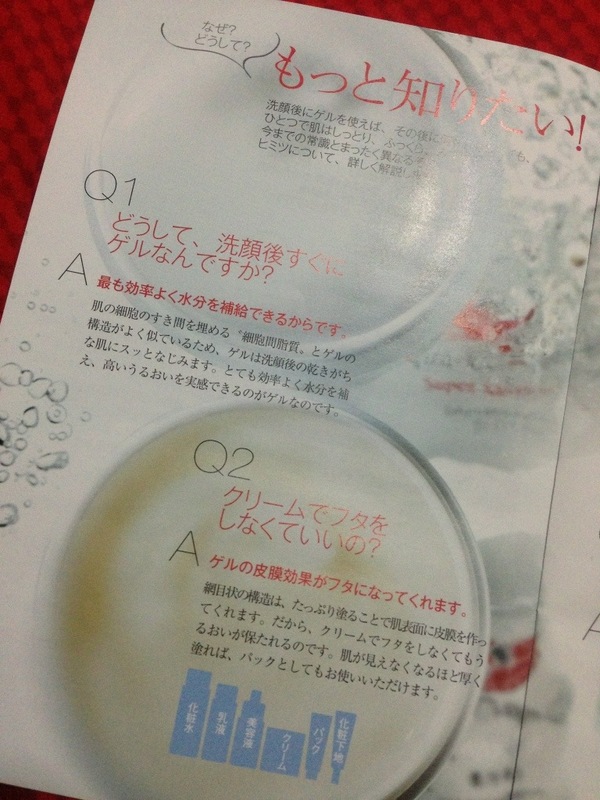 SUPER WASHING FOAM EX – Moisturizing ingredients encapsulated in a nanocapsule. A fine, a botanical cleansing ingredient’s creamy lather’s elastic texture to remove debris, dirt, pollutants and other impurities thoroughly yet gently. ●A gentle face-wash containing micro-rich bubbles. ●No fragrance, no coloring, no mineral oils and paraben free. ●Formulated with 3 major moisturizing ingredients (Marine-derived Collagen, Hyaluronan, and Ceramide) encapsulated in a nanocapsule. ●Formulated with 5 kinds of vitamins (H, P, E, B6 and C) to condition and help keep the cleansed skin healthy. Retail price for it is S$47 (100g) – price based on website. SUPER CLEANSING EX – Gently remove makeup without losing moisture ! When the cleanser is worked with makeup on the skin, it slowly turns into oil, Thoroughly remove even the toughest makeup, dirt and other impurities. 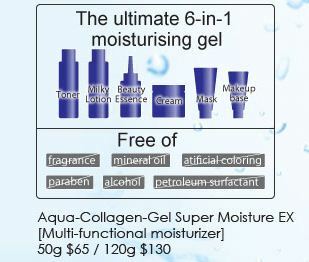 While massaging, the gel will transform into oil, its gentle warming effect soften dead skin cells and lifts the makeup. It carefully catches impurities and clears the pores, removes dead skin cells. ●Leave the cleansed skin moist and smooth. ●Can also be used with wet hands! Retail price for it is S$50 (120G) – price based on website. AQUA-COLLAGEN-GEL SUPER MOISTURE EX – All skin troubles are caused by the loss of moisture of the Epidermis, the outermost layer of skin. In addition to the internal factors such as high level of stress, the external factors like air conditioning and the increase in the UV exposure are now causing the dryness of skin, where many women today experience it in earlier age than before. The dryness of skin can lead to sagginess, wrinkles, blemishes, and many more. It also makes the skin more vulnerable to be damaged. The new and improved “gel” can fully rehydrate, coat the skin surface to lock in hydration, and retain moisture by adopting the latest Nano technology, “Collagen HC Nano Capsules.” “Collagen HC Nano Capsules” is 200 nanometers (1 nanometer=one billionth of a meter) size of capsules made of multiple layers. This advanced technology allows the microscopic capsule full of ingredients to reach deeper into the skin, where it’s needed. Aqua Collagen Gel Super Moisture EX covers six-steps of the daily skin care process (Toner, Milky lotion, Beauty essence, Facial mask, Facial cream, and Makeup base) all-in-one simple application. This easy to maintain daily moisturizer can enhance the natural healing ability of human skin, which is one of the core philosophies of Dr. Shirono in producing products for his patients. Over 120 kinds of all natural skin beautifying ingredients are combined with the technology of Collagen HC Nano Capsule to assist to improve skin condition. ●Collagen HC Nano Capsule is an approximately 200 nano-meters diameter capsule that is made up of numerous layers of phospholipid membrane, same substance as cell membrane. ●Aqua-Collagen-Gel Super Moisture EX keeps your skin moisturized all day long. ●No fragrance, no coloring, no mineral oils, no petroleum surfactant, paraben free and alcohol free. Retails price for it is S$65 (50 – 1 month) – price based on website. Register HERE to get your one week trial (just like what i have here) at S$10!!! Isn’t it a great bargain!!!! Alright, enough of the gaga-ing about Dr.Ci:Labo!! 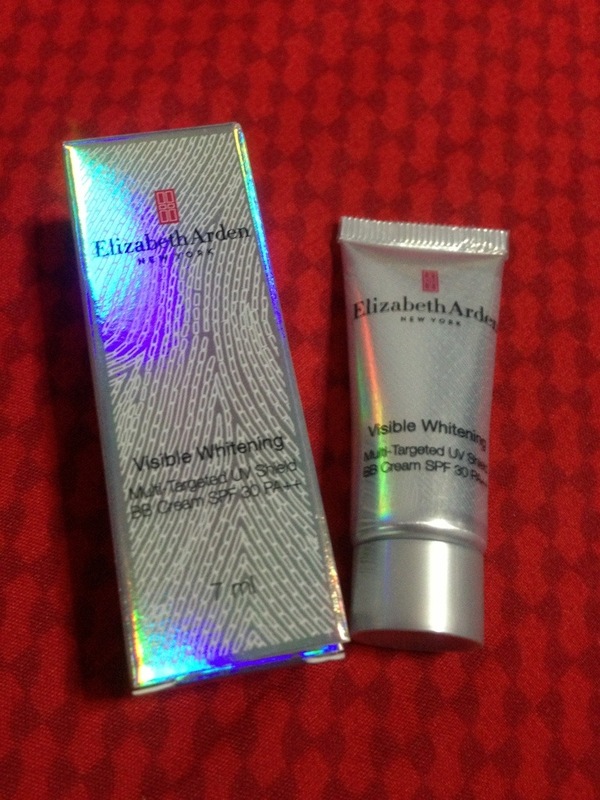 Next i’m gona show you what i’ve got for Elizabeth Arden! I like their packaging.. holography boxes attracts me! 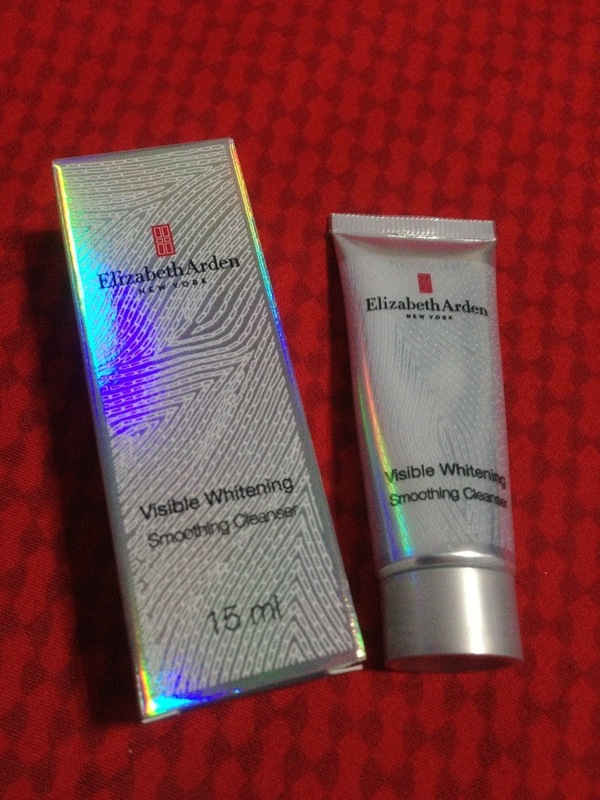 hahaha..
First, it’s Visible Whitening Smoothing Cleanser! This gently foaming cleanser with enzymatic micro-beads instantly removes dead surface cells, reducing the appearance of dark spots and uneven skin tone. Melts into skin to effectively cleanse, purify and detoxify. Skin looks instantly brighter, more even toned and glowing. Specifically formulated for and tested on Asian skin. This cleanser has micro beads! Tho i din see my face become any whiter but my face feels clean after each wash.. (which facial foam doesnt -_-) oversll i think this is just a so-so cleanser..
Next, Visible Whitening Multi-Targeted UV Shield BB Cream SPF 30 PA++ Shade 01! This protective daytime beauty balm provides high protection from sun and pollution as it instantly hydrates and brightens skin. Contains melanin-inhibiting and anti-aging technology to fight the appearance of discolorations and fine lines. Imparts a smooth, even toned look and a soft, translucent glow. In three skin-enhancing shades. 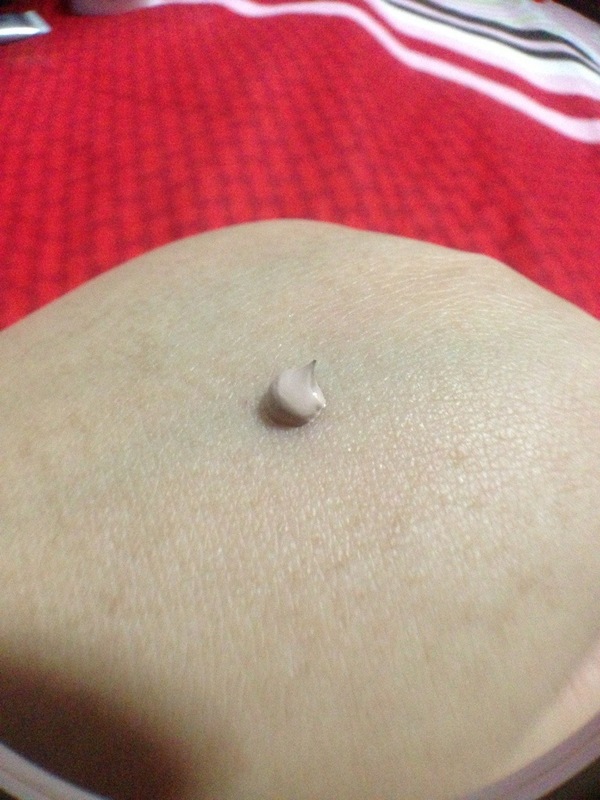 I did a little test on my hand and as you can see, this bb cream is quick creamy. Not those liquid runny type. If you ask me, i would say the coverage is just so-so.. but as per the pic, you can see my hand is “glowing”! Does gives a radiant look…! So if you don’t have pigmentation as bad as me, this is pretty good bb cream for you! 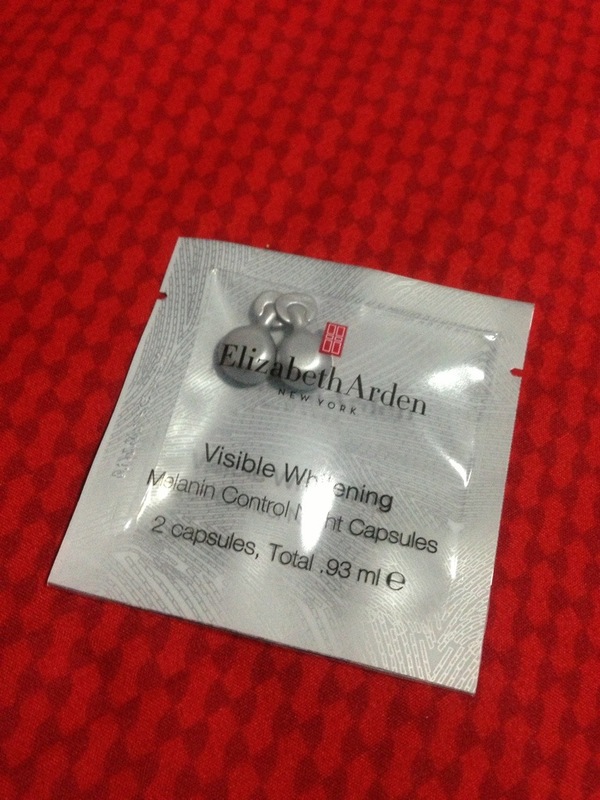 Next, Visible Whitening Melanin Control Night Capsules! This high performance nighttime serum in a capsule delivers potent natural hop extracts to intercept melanin synthesis at every phase, diminishing excess pigmentation and the appearance of uneven skin tone. Powerful botanicals, vitamin C derivative and environmental protectants fight the damaging effects of pollution and support skin’s natural collagen elastin matrix, to give skin a smoother brighter look. See a profoundly visible transformation: skin looks smooth, crystal clear and translucent – glowing with confidence. This night capsule is good! A small capsule contain quite a lot of serum.. It feels oily on ur hand. 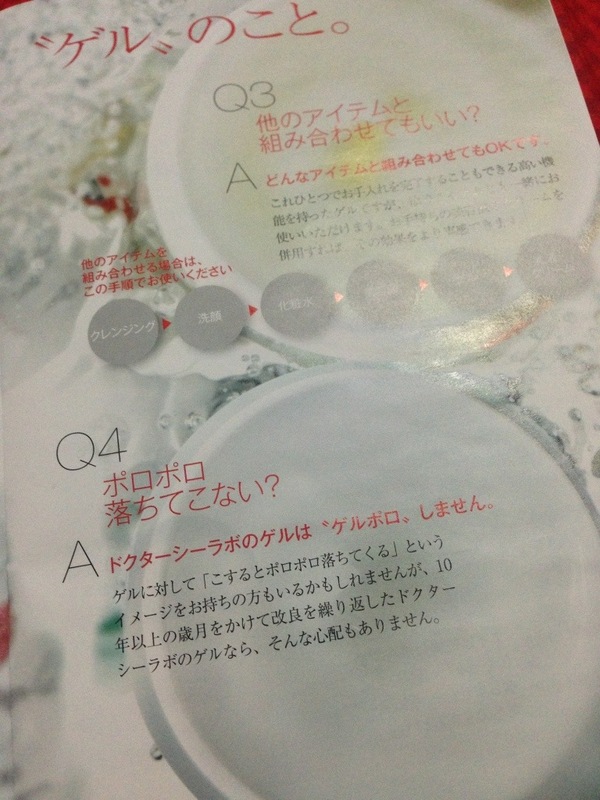 but when u apply, the oil seems to form up a protecting layer on your face and slowly being absorbed and it became less oily and face feels smooth (but if u rub it hard, u can actually still feel the oil after some time) Seems like i can understand better the reason behind the price now.. worth it if you dun mind the price..
VT even include this ALL JAPANESES words booklet for us.. (like i know how to read!?) Lucky for those who can read but this booklet seems pretty useless to me and i would rather visit the web! hahaha.. Overall i think this is a pretty impressive trove, value aside! The more trove we get the more we understand that most item are sample pack and can easily be requested from the beauty counters, For eg: Dr.Ci:Labo products, it merely cost S$10~ due to the current promo. However, if there isn’t any promo, this whole trial set is worth about S$15! That’s almost half my Vanity Trove price! But to me, it’s the effort that they put in to recommend you new and probably effective products! Ask yourself, if VT din not throw in this products, will you go to (say) Dr.Ci:Labo counter to ask for every sample every month? At least i won’t.. LOL..
Hope you had enjoy reading.. ^_^ Will keep you guys posted if i started using any of the products here… oooh~~ excited!! 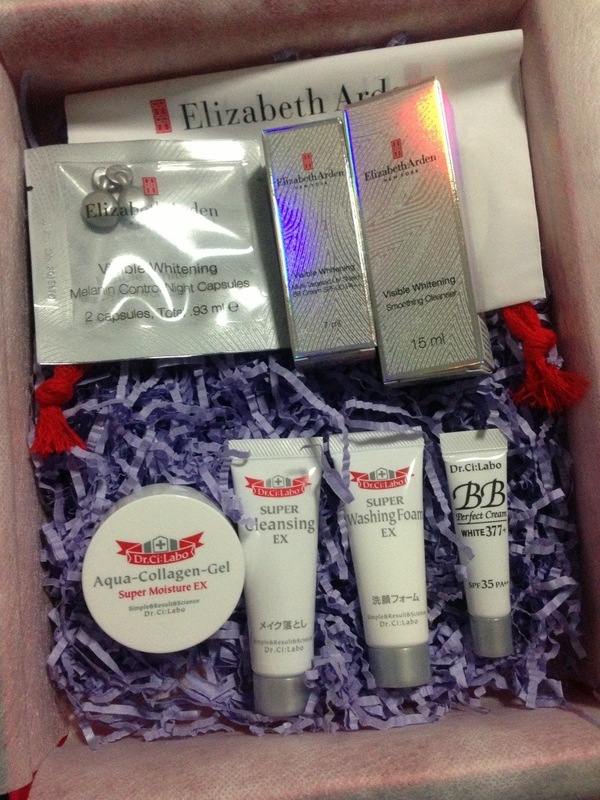 This entry was posted in .Care for Skin, .Cosmetics/Makeup, .eCommerce, Dr.Ci:Labo, Elizabeth Arden and tagged BB cream, face moisturizer, face wash, makeup remover, night cream, Vanity Trove by Tempted to Love. Bookmark the permalink.